FORTE returns to The Villages! The powerhouse tenor trio consisting of Josh Page, Sean Panikkar and Fernando Varela are back! 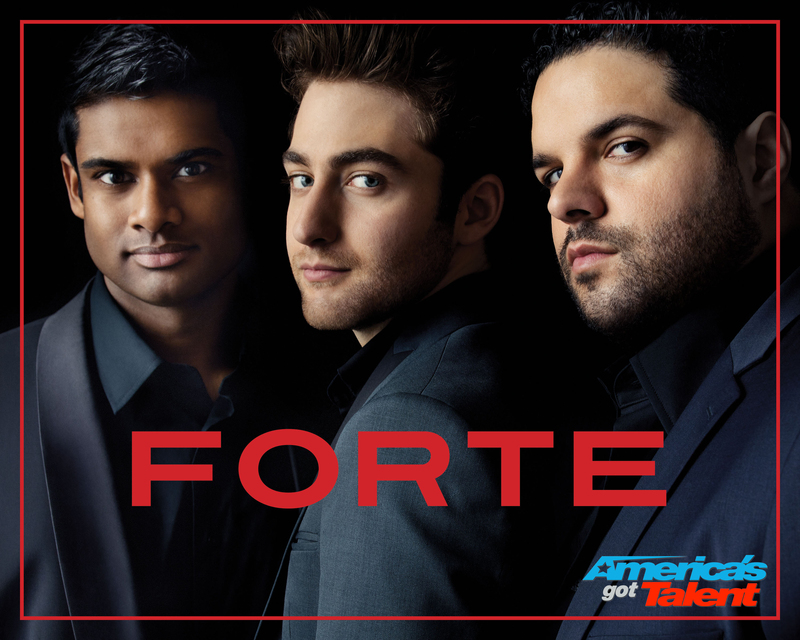 Accompanied by a full orchestra under the direction of Maestro Pasquale Valerio, FORTE is guaranteed to wow audiences with their thrilling, signature sound that carried them all the way to the finals of America’s Got Talent. You’ll hear all of the romantic hits that made them a fan favorite and a household name: “Unchained Melody”, “Nessun dorma”, “My Heart Will Go On”, “Somewhere”, “Pie Jesu” and MORE. In 2013, Forte shocked the judges after meeting only a few days before their audition, coming together, and blowing away the world with a powerful collective voice. Forte represents the harmony and strength that can be created when people come together and lend their voice for the greater good. Find Out About Upcoming Shows, Exclusive Pre-Sales and Offers - Join Victory Productions Newsletter! Victory Productions is a 501 (c) 3 non-profit, arts outreach mission that operates under St. Paul National Catholic Church. Part of the proceeds from every production go to benefit several programs that serve underprivileged children in our local communities and abroad. Current programs include: The Backpack Program in Sumter, Marion, Lake and Orange Counties; Ongoing support of Wildwood Elementary and ChildFund International.